Mob Psycho is a project overflowing with young talent dedicated to their craft with burning passion. And this episode was fire. 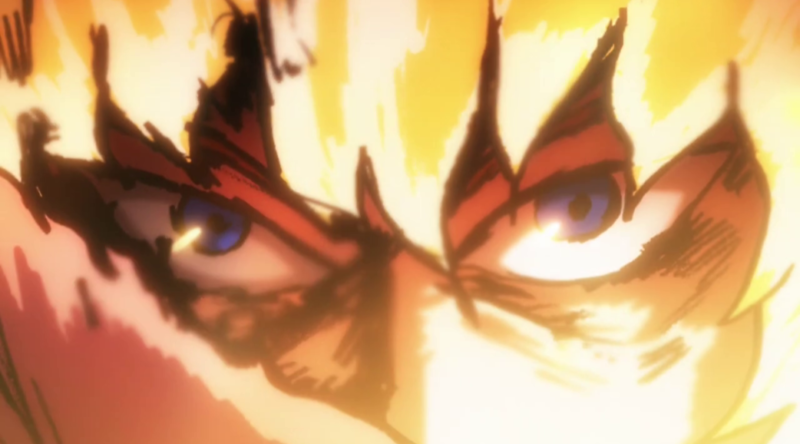 Mob Psycho is back to form, this time heavily leaning towards ambitious motion over ambitious ideas; the show keeps framing power dynamics perfectly through its layouts, but it was the animation that spoke the loudest in this episode. 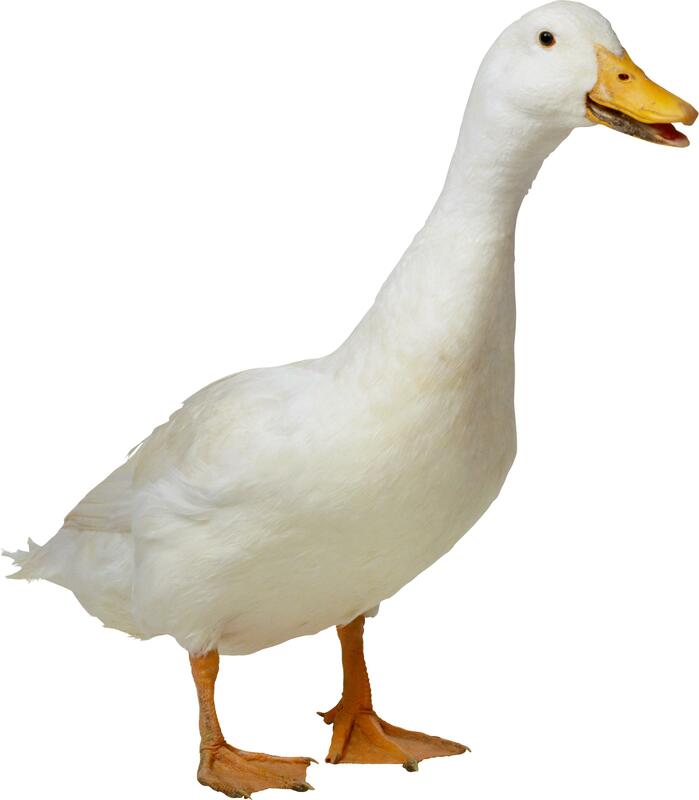 And to carry that aspect it used many outstanding young animators. Gosei Oda returned as one of the animation directors together with episode 3’s director Katsuya Shigehara and animators Kazuto Arai (25 y/o) and Itsuki Tsuchigami (21 y/o) – the artists who handled Mob and Dimple’s fight. They collaborated once again, but unlike last time where Arai animated most of the scene, it was Tsuchigami (aka Miso) who handled a larger portion; Arai animated the very beginning of the fight between Teru and Miyagawa, Miso’s part started with Miyagawa’s appearance (6 cuts) and the standout part shown bellow was supposedly work of Shin Ogasawara (uncredited). The key animator for the following scene is sadly still unknown, but the sketchy drawings remind me of Tomohiro Shinoda’s work on Space Dandy #22. It could have also been uncredited work by Hironori Tanaka, but that’s just a speculation. This action scene is a showcase of how powerful and stylistically different hand-drawn fire effects can be. You simply can’t ignite this feeling with 3DCG, which is still fairly limited in its portrayal of stylized effects animation. To be honest, I don’t recall when was the last time I was this impressed by fire animation used in an action scene. Maybe Yoshimichi Kameda’s legendary FMA:B cuts. How heartwarming. 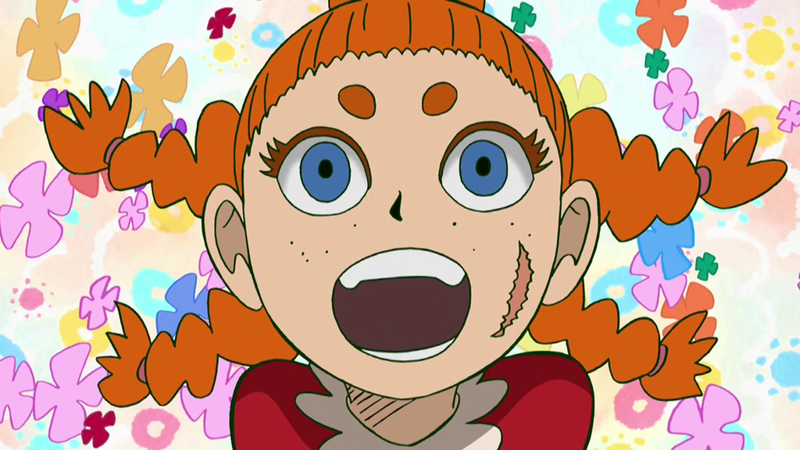 Continuing with young animators, Yuki Igarashi animated the fight between Mob and Tsuchiya. 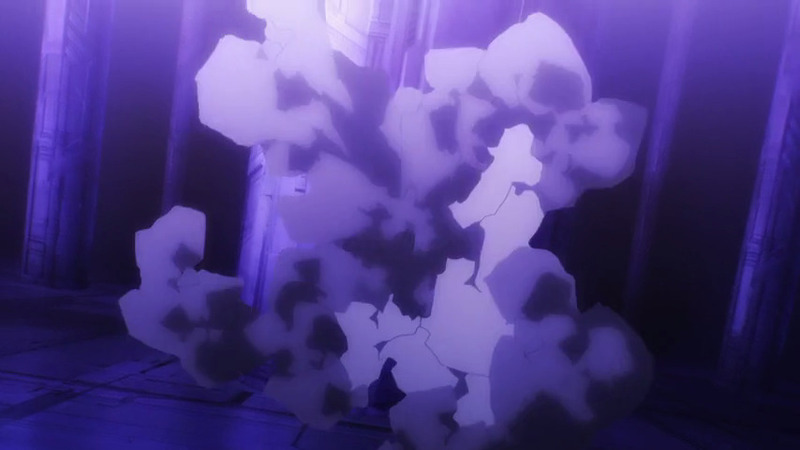 The style of the smoke effects resembled this scene from episode 7 very heavily, so I think it’s safe to assume Igarashi also animated it. 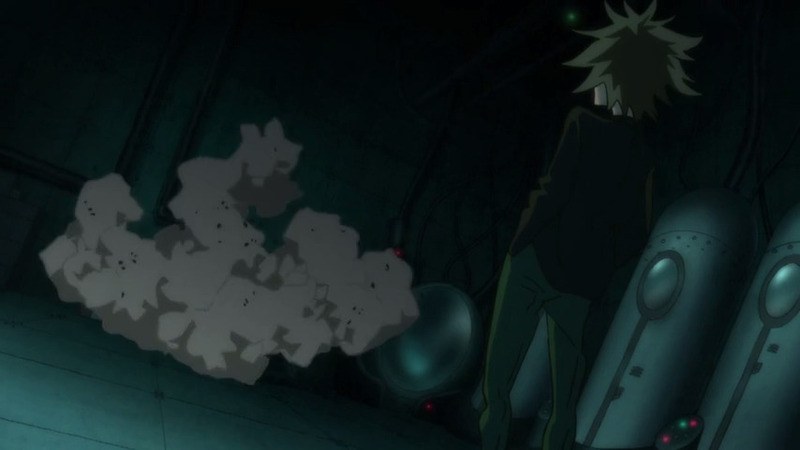 Hayate Nakamura (23 y/o) animated Dimple defeating Claw cannon fodder. 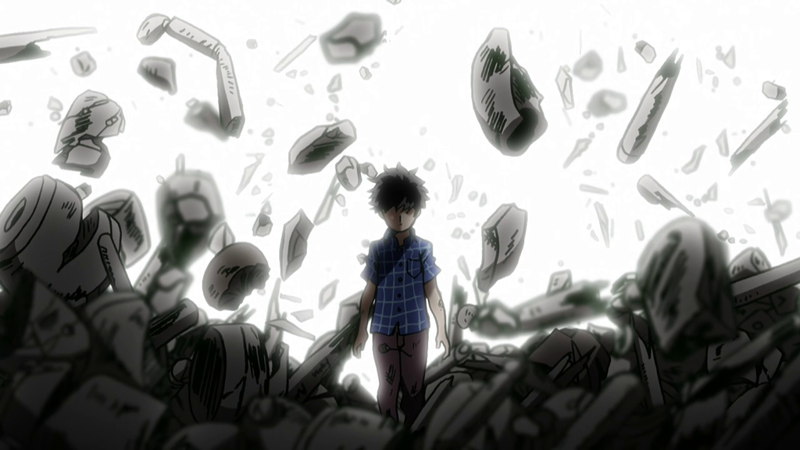 Last season’s Sansha Sanyou star Akira Hamaguchi presumably drew Mob’s emotional breakdown, featuring a sequence of creative impact frames. Tomohiro Shinoda animated Dimple’s struggle against Matsuo and his evil spirits. His smoke effects are really unique – particularly the shapes, smooth but not round – so this part was very easy to spot. Gosei Oda and episode 5’s Kenichi Fujisawa also contributed some animation, while Miyo Sato did her thing as usual. This episode was full of animation talent and kind to animation fans, as many artists who worked on it confirmed their work. The storyboard artist was Hiroshi Kobayashi, who recently gained recognition as the director of Kiznaiver. If you’ve watched the show, you’re likely aware that Kobayashi knows how to stage a scene and elevate – in Kiznaiver’s case otherwise mediocre, I felt – material he works with. He’s also good at portraying energetic characters, in this case a little girl obsessed with dolls called Mukai (voiced by the lovely Chiaki Omigawa). That made for a scene showcasing a nice parallel with Yuzuru Tachikawa’s Death Parade. Tachikawa actually storyboarded Kiznaiver’s third episode, so Kobayashi appearing here is probably a sign of gratitude. A common development in this industry, but always heartwarming. They’re likely good friends as he also worked on Death Parade (#9) before. 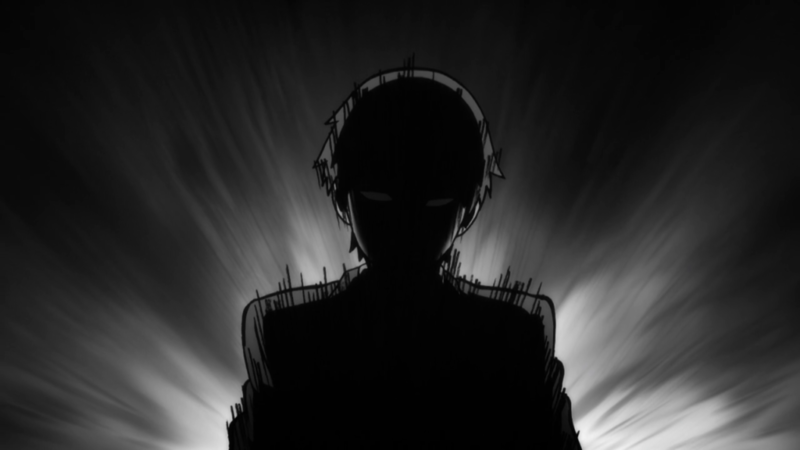 The storyboard work in this episode was effective, with the clear highlight being the build-up to Mob reaching 100%. Mob Psycho handles the escalation of tension very well, as this scene confirmed once again; the zoom-in to the number we’re already used to seeing was a nice touch, particularly. The final cliffhanger gag was also well handled with its monochromatic palette. I’m grateful Mob Psycho still sticks to its promise of being a visually diverse show. What an embarrassment of animation riches this show is, to have a Miyo Sato cut (what I felt was maybe her most dynamic work in the series yet) relegated to just a single throwaway sentence. I don’t mean that as a criticism of the post – it’d be impossible to highlight everything in ever episode of Mob – but that’s just indicative of how incredibly packed this show is with amazing work. Akira Hamaguchi has a BONES contract? If not what does it mean to be under the BONES Animation Department ? It’s only Haruna Hashimoto under the BONES sakugabu, the other animators after that were credited in a different page. A bit confusing when in text form.